Dogs are often referred to as “man's best friend.” As cyclists, however, someone's dog may be your worst nightmare. In our experience, dogs represent a danger to cyclists in two basic ways. The first would be a classic dog bite or dog attack. Cyclists have an advantage over someone on foot when confronting a vicious dog on the loose. We typically can move out of their range. This tends to mitigate the risk of injury. However, they can do a significant amount of damage in those rare situations where a dog attacks and bites someone on a bicycle. Unless a rider loses his or her balance and falls off the bike, dog bite injuries tend to be lower extremity leg and ankle injuries. The second way dogs present a danger to us is often more problematic. Dogs can get caught in the spokes of a bike wheel or get in front of us causing the cyclist to fall and strike the ground. These represent some of the worst injuries to cyclists. We've seen concussions (traumatic brain injuries), facial injuries, and broken bones from these crashes. Even friendly dogs can be a significant hazard. In Florida, dog owners are strictly liable for injuries caused by their dog. Some states require a first bite (or injury) to put the owner on notice the dog may have dangerous propensities. Many injuries caused by dogs occur in situations where there was no evidence the dog had bitten, attacked or caused harm to someone in the past. The owner is still strictly responsible in Florida, but being compensated for the injuries caused by someone's dog is a not a sure thing. Dog injuries are typically homeowner claims. But, many insurance companies in Florida do not insure for any injury caused by a dog. Citizens insurance company, for instance, is said to have 80% of the homeowners insurance market in Florida. Citizens policies specifically exclude dog injuries. While the owner remains strictly liable, without homeowners insurance it is very difficult to receive any compensation as most homeowners don't have thousands of dollars available to pay claims. There is some good news. Citizens continues to shed policies and become a smaller player in the Florida home owners insurance market. Additionally, many home owners in rural areas of the state are insured with companies such as Florida Farm Bureau, USAA and others. Many of these companies have policies which do not have specific dog exclusions. They also carry higher limits of insurance. Citizens, for example, typically limits their general liability coverage to $100,000, while other insurance companies commonly write policies with general liability coverage of $300,000. Remember, the dog owner must be identified in order to determine if the owner has insurance coverage. 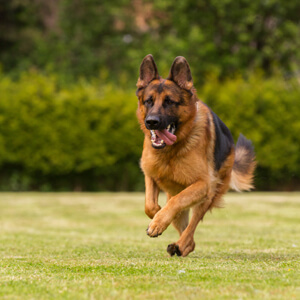 Often, the dog causes injury while it is running loose so you may be unsure where the dog's owner resides. Here are two steps I recommend. First, call the police to file a police report. If the dog has bitten someone in the past the owner may be criminally responsible for subsequent attacks. Second, contact animal control. They will track down the owner in order to fulfill their responsibilities to determine whether the dog was properly vaccinated or requires quarantine. As a consequence of what they do, the owner may well be identified. Neighbors are also a good resource. They typically know who lets their dog run. I would always recommend consulting an experienced cycling lawyer to discuss any serious injury caused by a dog. There's never a charge to discuss your case or determine whether the owner has coverage.